Alongside the announcement of the Alpha A6400, Sony has announced major firmware upgrades for the a9, a7R III and a7 III which enhances stills and video tracking, improves autofocus performance, and adds Eye AF for animals. The α9 will gain both features through firmware version 5.0 in March, while the α7 III and α7R III will gain just the latter feature via firmware version 3.0 in April. The updates will include different upgrades also, including enhanced time-lapse capabilities. 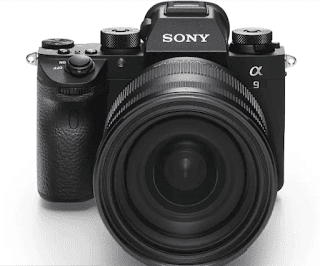 First up, the Alpha A9 will get a version 5.0 of its firmware in March, which will bring various enhancements to the camera's as of now advanced autofocus system, including Real-time Tracking and Real-time Eye AF. “Real-time Eye AF,” coming to the α9 just as the α7 series cameras,this sees AI-based object recognition utilized to identify and process eye location data in real time, which Sony says results in enhanced accuracy, speed and tracking performance. "Constant Tracking," which is promised for the α9, is intended to pursue subjects with considerably more noteworthy precision by making utilization of a newly developed AI-based algorithm. At the point when the subject is an individual, face and eye position are utilized to follow subjects extremely accurately. The feature will be initiated by means of a custom button or through a menu option. Sony has moreover promised Eye AF support for animals through later firmware updates—on account of the α9, by means of version 6.0 released in the "summer," yet no date has been given for when the feature expansion will come to the α7-series cameras. We're eager to perceive how creature Eye AF charges with marine subjects.